In January, 2008, Mr. Ashik Mahmudul Hoque will be established a paper furniture manufacturing company. The company name will be Paper furniture which will be located in Dhanmondi. Paper Furniture has been riding a growth spurt, having discovered the high-end direct mail channel that gave us a push to new potential volumes through channels. Bolstered by appearances in specialty catalogs, we were able to develop another additional channel through distributors of home furniture that sell directly to customers. Paper Furniture will create stylish paper made furniture with the modern technology in which real people can live happily. We will always provide the best possible value to our customers who care about quality home environments. We will seek fair and responsible profit, enough to keep the company financially healthy for the long term and to fairly compensate owners and investors for their money and risk. Uncompromising commitment to the quality of the end product: quality raw material, quality workmanship, quality design, quality of end result. Paper Furniture is a privately-owned specialty manufacturer of high-end home furniture for the family people. Our customers are in all levels of upper class people who can afford very high quality home furniture, plus a growing portion of high-end home environment. Paper Furniture Company will own entirely by Mr. Ashik Mahmudul Hoque. It will be established in 2008. Name of the Company : Paper Furniture Ltd.
Paper Furniture Company will offer very high quality home furniture which is made by quality paper and will be designed for the living room, dining room, drawing room as well as the home environment. The paper made sofa and chair looks very stylish and high quality home furniture. The company will also make paper made sofas in various styles. These are the elegant piece of home furniture designed to look good and stylish for home environment. Within our niche we have two significant competitors, Navana Furniture and Otobi Furniture. Navana is a bigger company but operating mainly in our same niche, whose marketing is better than its product quality. Otobi is a major furniture manufacturer, which has recently targeted our niche. In general, however, our competition is not in our niche. We compete against generalized furniture manufacturers, cheaper home furniture. It isn’t that people choose our competitors instead of our product; it is that they choose lesser quality, mainstream materials instead of the higher quality furniture we offer. In 2009 we plan to develop a company catalog, which will include some other products for the same target customers. The focus will be the executive office catalog, with furniture, lamps, and other accessories. Our Oregon location is a distinct advantage for paper and paper core. Paper cores are an industrial by-product that is as strong as wood and lightweight. By spinning a strip of paper dipped in glue, a paper cylinder of desired thickness and length can be made. Materials such as carpet, fabric and plastic come in rolls where the core is a paper cylinder. Paper cores are made of recycled paper, have stable qualities and are highly durable. We will work with three paper and paper core suppliers, all local. We will also work with a number of specialty manufacturers for furniture fittings, drawer accessories, glass, shelving accessories, and related purchases. We depend on our dominance of the latest in technology of ergonomics, combined with classic design elements of fine furniture. We must remain on top of new technologies in display, input and output, and communications. In the Dhaka city there are many furniture companies but the paper made furniture is the new idea. The furniture company will use modern technology to manufacturing process. The company will manufacture the most stylish furniture by using paper as raw material. As because it’s different type of product rather then the other type of furniture that’s why we will get large number customer. 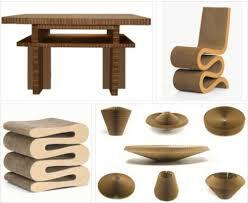 The target market is the family person who wants to have very fine and light furniture with the latest in design. And at the first time the target area will be the Dhanmondi area of Dhaka city and after that we will expand our business to the every division of Bangladesh, This target market can be in the Home, small or medium business. The common bond is the appreciation of quality, and as well as the reasonable price. Family person: Our market research indicates a large market of potential customers who are the head of the family and the house wife. The target customer is going to be at a high level and mid level income people. Navana furniture company is the largest furniture company in Bangladesh. This company is one of our main competitors. It was one of the first, certainly the first we are aware of, to develop home furnishings and office furnishing and market through advertising in in news paper, billboard, magazines, TV commercial. They have a very nicely done catalogue and good relationships with distributors. Strengths: good marketing, strong advertising budget, relationships with distributors, strong direct sales. Weaknesses: the product is more standardized, and of lesser quality, with less sense of design and materials and workmanship. Otobi furniture is another competitor which is the second largest manufacturers of Bangladesh home furnishings. We see very good quality product, and an excellent sense of design, but little movement in channels or catalogues. Strengths: financial backing, product quality. Weaknesses: This company has not seemed to understand our niche, where to find the buyers, how to market as a specialty niche instead of the more traditional furniture channels. Other Furniture companies: There are other furniture companies in Dhaka like Akter furniture, Hatil furniture, and various types of home furnishing companies who are the minor competitors of our company. Our marketing strategy is based mainly on making the right information available to the right target customer. Because in Dhanmondi area the majority are the upper class and the upper middle class people. That’s why we make our product more stylish and high quality but in a reasonable price. What we really do is make sure that those who have the budget and appreciate the product know that it exists, and know where to find it. The marketing has to convey the sense of quality in every picture, every promotion, and every publication. We can’t afford to appear in second-rate catalogues with poor illustrations that make the product look less than it is. We also need to leverage our presence using high-quality catalogues and specialty distributors. We will offer the best and stylish furniture in the market which is made by paper. At the first time we will manufacture only the paper made chair, and after that we will manufacture paper made table, bed, computer table, book self and other types of house and office furniture. We will maintain our pricing position as upper class and upper middle class customers. We are the best product available for consumer. We maintain our product price not that much higher or not that much cheaper but in the reasonable price. The product manufacture industry will be in Mohammadpur area and our showroom will be in Dhanmondi area. The most important vehicle for sales promotion is the direct mail catalogue published by the specialty retailer such as Sharper Image and its competitors. Our advertising budget mainly for space in the specialty catalogue and newspaper add. We will also promote our products with an in-house catalogue including our own products plus related merchandise of interest to the same target market. The company’s aim to aware consumer by the direct mail catalogue service and by the Tv commercial. We will provide yearly membership card. And we will give our members special discount. We will have participated in trade show for our advertisement and marketing. We focus on a special kind of customer, the person who wants very high quality and comfortable home furniture customized to work beautifully with modern technology. Our customer might family person, service holder or business owner. What is important to the customer is elegance, fine workmanship, ease of use, ergonomics, and practicality. Our marketing strategy assumes that we need to go into specialty channels to address our target customer’s needs. The tie-in with the high-end quality catalogs like Sharper Image is perfect, because these catalogs cater to our kind of customers. We position as the highest quality, offering status and prestige levels of purchase. Paper furniture will gives the discriminating home furniture, which cares about design, and quality furniture and quality of living environment, a combination of highest quality furniture and latest technology, at a relatively high price. Our strategy focuses first on maintaining the identity with the high-end buyer who appreciates the best available quality. We’ve been able to find these customers using a combination of direct mail catalogs and direct sales to distributors. For the next year we continue to focus on growing presence in the high-end direct mail catalog that finds our specialty customer. We will work with Sharper Image and Broadview more than ever, and we expect to gain position in the major airline catalogs as well. Specialty retail is a new channel that could become important for us. Our work with distributors has been promising. We hope to continue the relationship with distributors selling directly to larger corporations, even though this takes working capital to support receivables. Our sales forecast assumes no change in costs or prices, which is a reasonable assumption for the last few years. We are expecting to increase sales grow from 40%to 50% thousand in the next year. We are projecting significant change in the product line, or in the proportion between different lines. The key to our growth is the growth of the new channels, with the main line. Catalog sales: develop placement with one additional catalog catering to the high-end office executive, paying of course for space and positioning. Distributor sales: we will need to develop at least new distributor, spending for co-promotion as required, and making direct sales calls. Direct sales: we will do a mailing of a new in-house catalog, developed by the marketing department, to add to our direct telephone sales. Jan will be responsible, without a budget or a deadline because the catalog is a marketing program. The company should ensure that right employers will be recruited in right place as well as those potential employers must be highly educated, trained and be experienced. Director of finance: Mr. Karim. Management style reflects the participation of the owners. The company respects its community of co-workers and treats all workers well. We attempt to develop and nurture the company as community. Ashik Mahmudul Hoque as a managing director, is responsible for overall business management. Our managers of finance, marketing, and sales report directly to Mr hasan ali. Mr. Rahman ali, as a designer, is responsible for product design and development, assembly, and manufacturing. The workshop manager reports directly to Mr. Rahman. We depend on our professionals, our CPA and our attorney, for some key management help. We don’t have a strong background in finance or business management. As we grow we will need to develop more manufacturing technique, more mass production. Leslie grew up with the hand-made and custom furniture business, knows fine furniture styling well, but admits a weakness in establishing standardized assembly. Mechanical Graduate Engineer – 01 Nos. Electrical Graduate Engineer – 01 Nos. Administrative Staff – 04 Nos. Sales & Marketing Staff – 06 Nos. Skilled & Semi Skilled Worker – 08 Nos. Paper Furniture Company’s owner Mr. Ashik Mahmudul Hoque. As because this is a furniture business that’s way at the first time there will no need for huge investment. Regarding those requirement it will need more than (20, 00,000) twenty five lakhs taka. The company already has inventory (Office, manufacturing place, transportation) and rest of the amount we are collecting from bank loan. Company cash on hand 5,00,000tk and furniture and computer. After making the business plan it was not find out that though Bangladesh has a competitive advantage over many other countries in the world in this industry it also have very big problems. If all these are not properly managed the advantage shell not be there any more. By the year 2005 all the survival requirements must have to be fulfilled to be what it is now. And It also required that, to the advice of RMG and full fill their interest and they should go beyond their existence facilities.